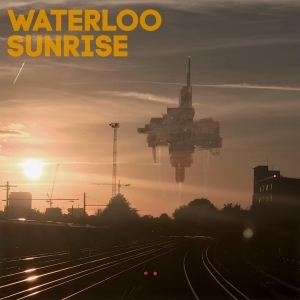 The Rockerati's debut album 'Waterloo Sunrise' is OUT NOW. just make sure you HEAR IT! ...including none other than Francis Rossi of Status Quo, who called the band 'rather pleasant" - and as anyone familiar with him will know that is a rare five star recommendation from the man himself! After getting plenty of USA airplay as part of a radio-only promo, Rockerati original song '16 Tons' became available on all the major download and streaming outlets. Various Rockerati promo tracks received USA radio airplay every single week from late August 2017 through to Christmas, including across the whole of North America on SiriusXM. "They call it rock'n'roll and it is a rare animal in its own little corner of the musical zoo right now, an endangered species. it wasn't here for a long time, but it was here for a good time. Now, like a stone skipping across three decades, there is a new collective of British musicians who have formed what amounts to a minor league british supergroup. The Rockerati rule""
"The rock is nothing, the roll is king"